It’s winter time, and many of us feel a real pull towards hibernation. We eat a bit more than normal, and we start spending more time indoors. Many of us are certainly less active during the cold months. That’s a real problem for us. Worse, these behaviors can rub off on our kids. We know kids need to be active regardless of the weather, but accomplishing that goal can be nearly impossible. At least it seems that way. In reality, you’ve got plenty of options for keeping kids active year round. Here are 10 of them. There are some places where the weather is simply unsafe for outdoor activities. Even in milder climates, you may have periods of time where playing outside isn’t an option. Those cases are few and far between, though. Most kids can play outside, at least briefly during the winter months, and they should. If your kids are a bit older, they may be able to accompany you to the gym. You might also consider a family membership at the YMCA. Check out your local community center as well. There, your kids may be able to access the gymnasium, indoor pool, climbing walls, weight rooms, martial arts, and fitness classes. You don’t have to take on the challenge of keeping your kids active alone. Your local school may be able to help. Many have after-school programs to help kids stay busy and active. This is a great option if you work outside the home. These programs often include everything from intramural sports to free play. It’s natural for kids to use screens more in the winter. Still, it’s important to set some limits. Kids who spend too much time with devices tend to get bored easily. Worse, they lose their ability to entertain themselves or engage in creative play. Force them to find other ways to have fun. Before you know it, they’ll find ways to stay active all on their own. 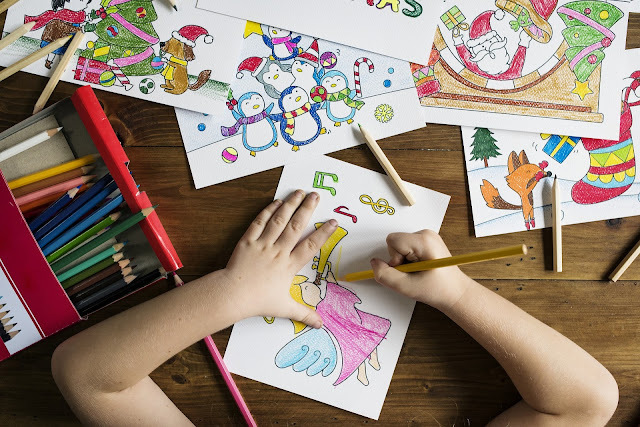 Once you find an activity that your kids love, there’s nothing more frustrating than having to put on the brakes to get kids started on homework or chores. When kids stay caught up, they have more time to spend on physical activities. If they need help with that, consider hiring a tutor or helping them find writing assistance. You can read writing services company reviews to help you better understand your options. Look for coupons and special offers. These places know they can earn lots of business during the winter, and many are very happy to help you save money. If your kids really love a particular activity, consider a membership or season pass. When in doubt, let kids dance it out. Crank the tunes, and encourage kids to dance and be as silly as they want to be. If they’re a bit shy, find an instructional video on YouTube. Some kids do better if they can follow along to someone else. This is a great way to get some exercise and to improve everybody’s mood. Parking further away at the store and walking. Taking an extra lap around the mall. Walking the dog up and down the street. Use your imagination, and identify as many opportunities as you can to increase your activity level as well as that of your kids. Don’t underestimate the value of chores. By giving your kids chores you can help them stay active, teach them responsibility, and give them a sense of accomplishment. Kids can shovel driveways and sidewalks. They can spread salt on icy patches, and otherwise help with winter chores. If they’re home on winter break, they can help with indoor chores as well. With kids, boredom and inactivity never lead to good results. It’s not healthy physically or mentally for them to go long periods of time without some form of exercise or other physical activity. Try a few of the tips listed here. These mood-boosting, fun activities will help everyone in your household survive the next cold snap.